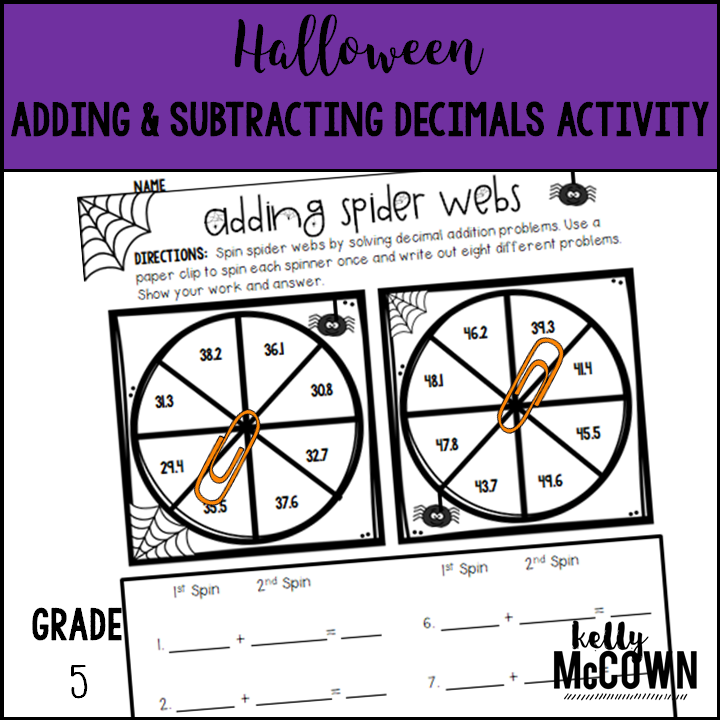 Are you looking for a Halloween Math Activity? 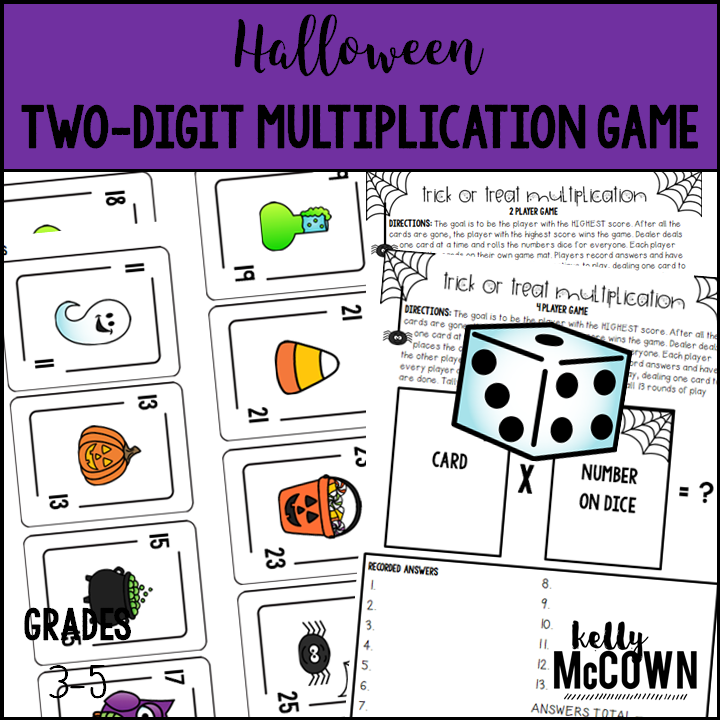 Would you like to engage your students with a Halloween Math Game? 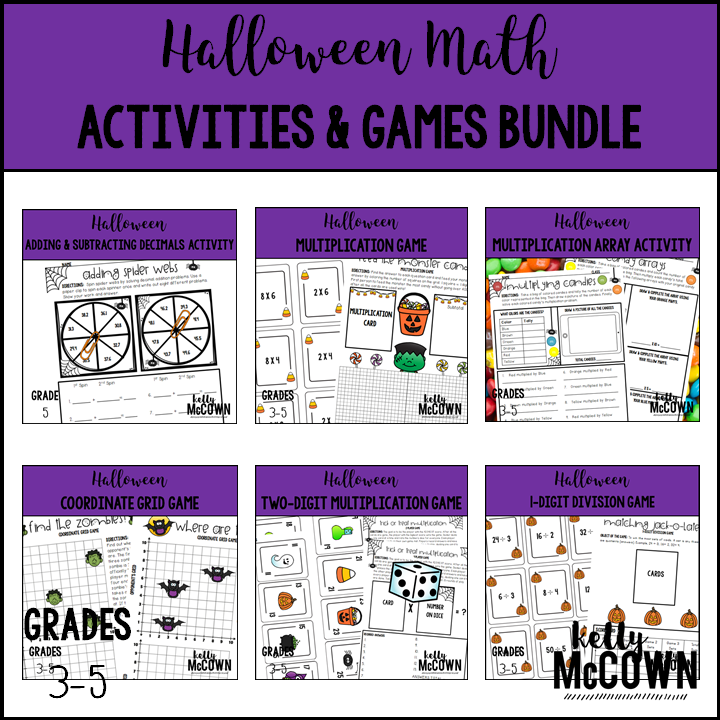 If you said YES, there are six different activities and games for your students to have fun with a Halloween theme this October. 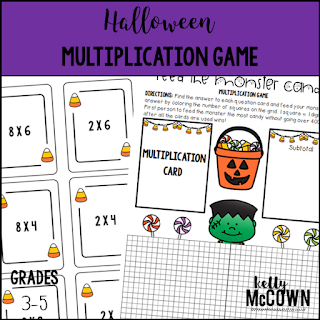 These Elementary Math Activities and Games are NO PREP and ready to keep your third, fourth, and fifth graders engaged! 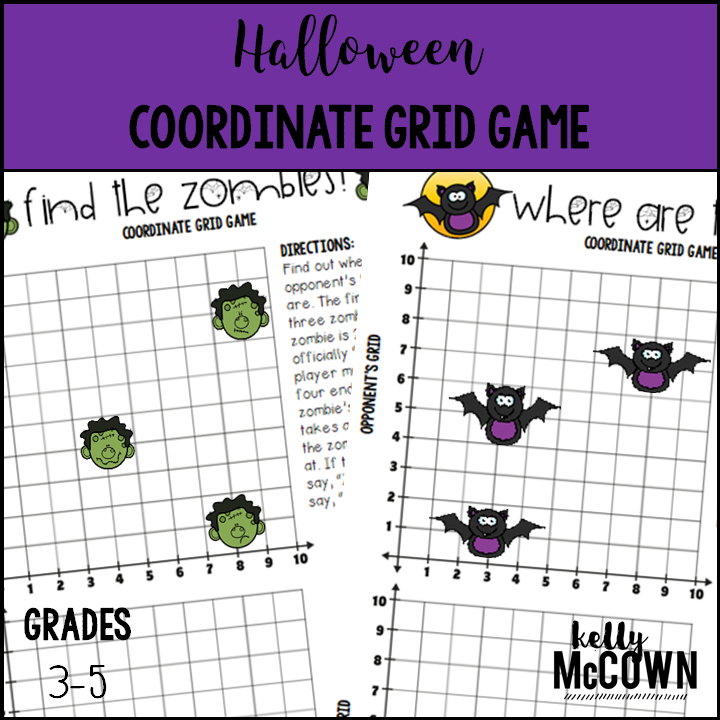 Each game focuses on different Mathematical concepts with a Halloween theme. Students can play these game with 1 to 4 Players. 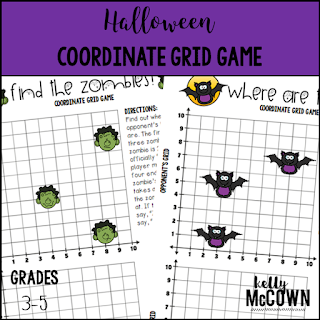 Students review Common Core State Standards and have some Halloween fun. 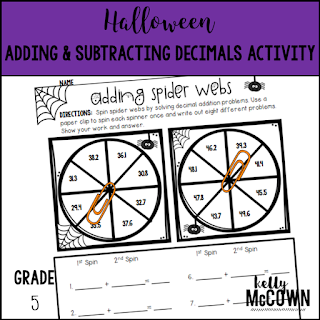 Use these activities for bellwork, classwork, extra credit, fast finishers, or homework. 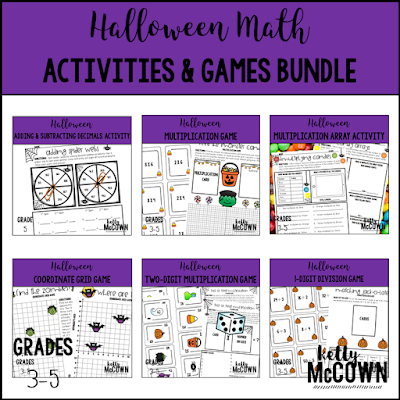 Engaging your students in fun Math in October is a great way to get them hooked on learning in your classroom. 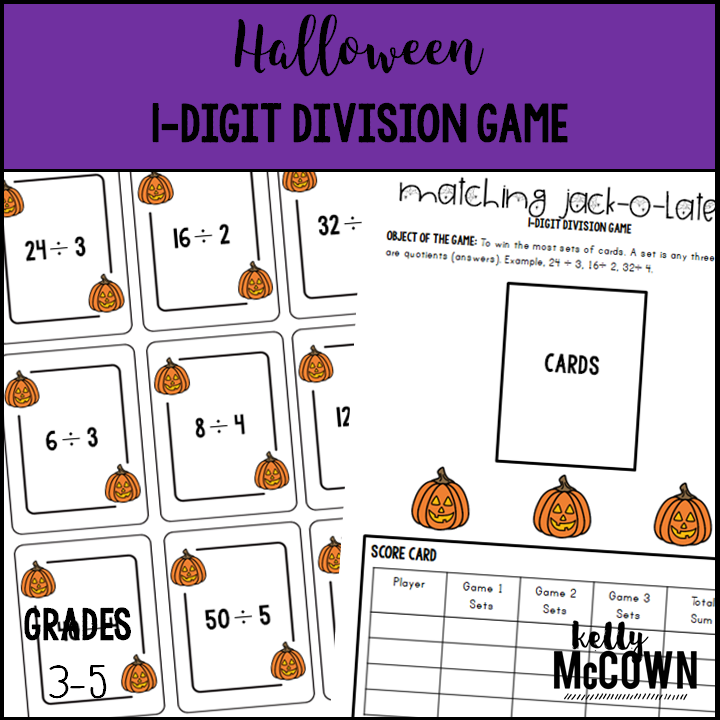 This is a great opportunity for your students to enjoy learning through different activities and games with a Halloween theme. 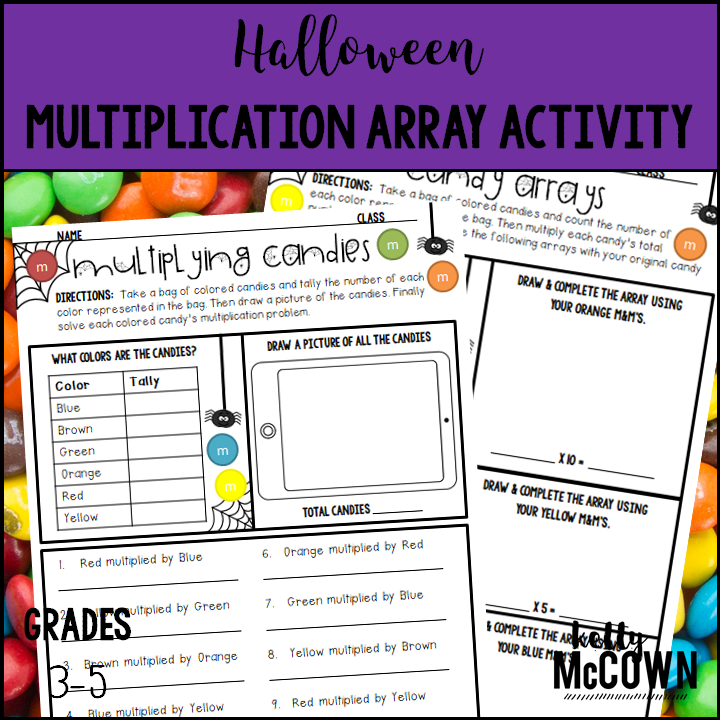 Students are always going to remember their teacher with the memories made around the holidays and how you incorporated them into the classroom. 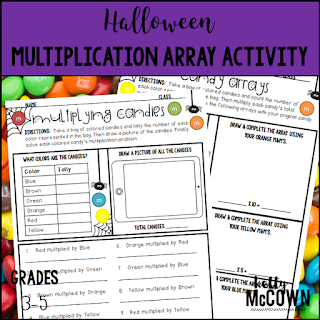 My students always said these holiday activities were their favorite. Just having some fun with M&M's can help students make Math connections with multiplication.